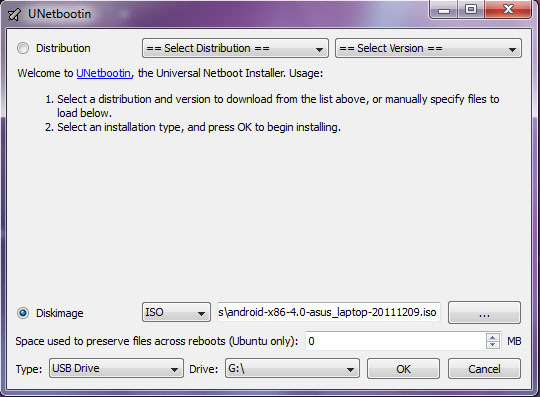 UNetbootin, Android-x86 4.0, 2 thumb drives (1 as bootable Live USB drive, another 1 for Android installation). Download Android-x86 4.0 ISO file. Insert a thumb drive into USB port. 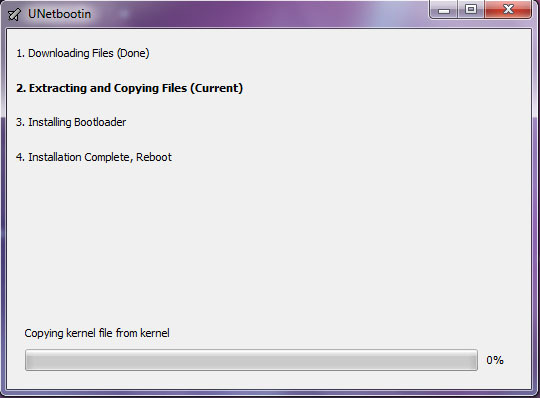 Open UNetbootin, choose Diskimage, select the Android-x86 ISO file, and select your target USB drive. 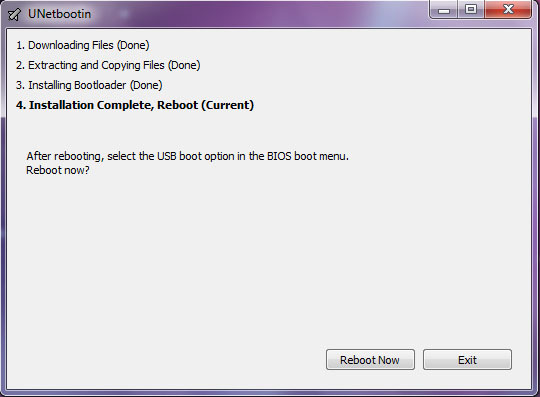 Click OK. Then UNetbootin will create your thumb drive to a bootable Live USB. Click Reboot Now to restart computer. While starting computer, press appropriate keyboard button to get to BIOS boot menu and select USB drives to boot first before HDD or CD/DVD rom. Save and Exit. Your computer will restart again and boot your Android x86 thumb drive. Select Install Android-x86 to harddisk. When you in Choose Partition page, select your target thumb drive (usually in sdc1) to install. Format your thumb drive as FAT32. Select Yes to install boot loader GRUB. Select Yes to install /system directory as read-write. If asked you to create user data image, make it 512MB (you can customize the value if you want). After the installation completed, choose Create a fake SD card. Creating a fake SD card enables extra features in Android such as Gallery, Music Player, etc. I make it 2047MB, you can lower the value if you want. When it is done, remove your bootable Live USB thumb drive and hit Reboot and enter BIOS boot menu again and make sure the Android thumb drive is in first boot order.